Joseph Morning parks his covered motorcycle on the street outside his North Carolina home every single night. But one morning, his girlfriend walked outside to find it gone. They originally thought it was stolen, but apparently that wasn't the case. It seems the garbage men put it in the truck and crushed it because they thought it was a couch. Yeah. Morning's sport bike has sat near the curb outside his home every night for months. He would cover it to protect it from the elements, but you could see wheels and mirrors sticking out. 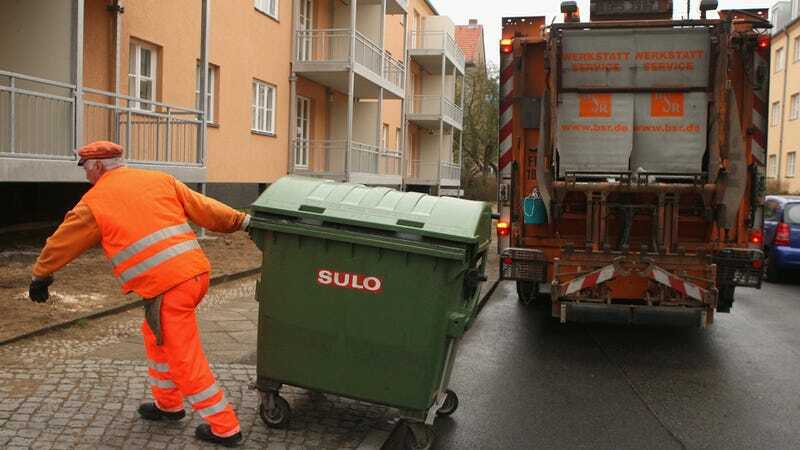 When it was gone, they immediately asked neighbors if they had seen anything, and the answer was pretty incredible: The garbage men threw it out. Morning went to the township to see if that was actually the case, and he found out that the township had actually crushed his beloved motorcycle. When asked why, they said they thought it was a couch. Even though it has, y'know, wheels. And when lifting it, you can usually see wheels, a fuel tank, and a distinct lack of cushions. Morning doesn't want to take this up with insurance, because it'll end up increasing his rates and wasn't his fault at all. He wants the township to pay. Luckily, Morning has heard that the township's insurance company will handle the claim, and he should find out soon what the settlement for the claim is. Too bad he still doesn't have a bike.